Having a resume that stands out is extremely important in a competitive job market like the one we’re in right now. And a few small changes can make the difference between getting a phone interview and never receiving a response after you click “submit”. So here are 6 important areas to focus on when writing any resume, and how to make your resume stand out in each area, step-by-step. 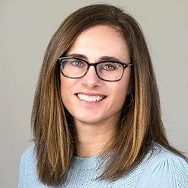 While this first section may seem like a no-brainer, it is the very first thing the readers sees – and the choices you make about these seemingly minute details will go toward making a great first impression. In addition to your first and last name, city, state and zip, if you have any licenses or certifications that are relevant to your career aspirations, be sure to include the acronym at the end of the name. This way the reader doesn’t need to wait until Page 2 to discover you possess must-have credentials. Show that you have adapted to the times by including a web-based email (i.e., replace AOL with Gmail), and include the link to your LinkedIn profile. If you have other social media sites that align with your career hopes, be sure to include links to these as well (i.e., Twitter, Instagram). Similar to how a headline tells us what the story is about when we are reading the news, a headline (also known as a career title) placed below the contact sections accomplishes the same thing. Are you a Program Executive or a Legal Compliance Director, Product Development Manager or a CIO? Make sure the headline reflects the kinds of roles you are targeting – and remember to customize where appropriate. By tweaking just a few words, you can quickly transform your headline to show you have an industry niche or that you are industry-neutral. Often called a Branding Paragraph, the summary section of a resume offers insight into how you are ideally suited for a role. Doing a great job writing this section is one of the best ways to make your resume stand out. My first recommendation is to skip generic language that often includes rich adjectives. Phrasings like “strong track record of success” and “experienced professional” can (and do) describe many. They’re over-used and have become pretty meaningless. Replace this language with a paragraph that describes strengths unique to you (or specific accomplishments, such as “experience managing production teams of 50-100”), and weave in language that aligns with job postings, to help the reader connect the dots that you are a perfect fit! A skills section, in many ways, serves the same purpose as call-out boxes in newspaper or magazine articles. Both allow specific details to stand out from the rest in an easily scannable manner. This section should include industry- or role-specific skills, much of which can be located in job postings of interest! Don’t just list all of your skills here though, pick the ones that are most relevant to the job. Tailoring your resume is crucial, so read this article if you’re not sure how. It’s better to have six highly-relevant skills listed, rather than 25 skills where some are relevant but some are not. Keep it hyper-focused. 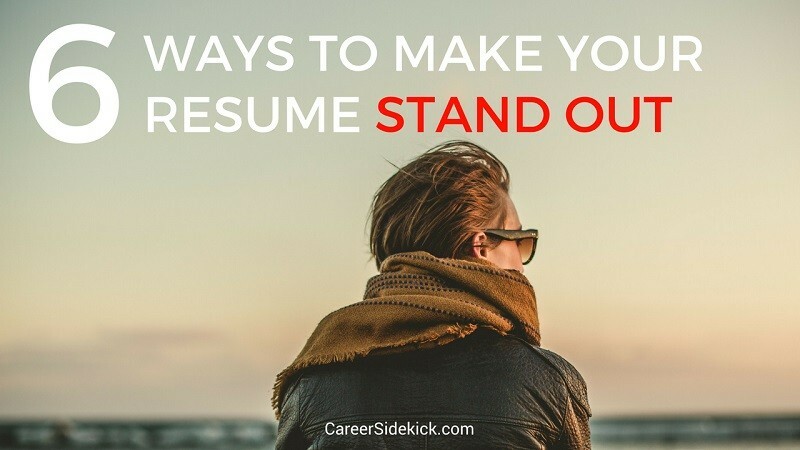 This is one of the most important things you can realize for how to make your resume stand out. It’s very rare that companies want to hire a generalist. They prefer an expert or specialist 80-90% of the time. So show them that. When it comes to skimming through your work history, readers tend to look at where and when you worked and in what role. From there they will breeze through just a bullet or two on the first read, and save the rest for second, deeper read –providing you have made the first-read cut! The first bullet is a better way to make your resume stand out, because it mentions the achievement upfront (“grew territory”). Notice how it’s specific too. You’re not just saying you grew the territory… you’re saying by how much. Specific facts and details are absolutely essential for writing a resume that stands out and grabs attention immediately. Lastly – try and avoid “bullet overkill”. Five bullets are about the max a skim reader can handle without the information being broken down into sub-headers. So limit it to five and your resume will stand out and be read more, and skimmed less. Whether you went to school 20 years ago, or just took a few classes…readers want to know in what capacity you pursued your interests academically. If you are using a newly-earned degree to springboard into a new career, lead off with your education and be sure to highlight courses, papers and projects of interest. If you’re already established in your career, you can put education further down on your resume, but don’t neglect this section. It’s an opportunity to show your academic abilities and your ability to learn, AND it can be a conversation-starter in the interview… if the hiring manager sees you went to the same school as them, or if you studied something similar to them, or if you achieved something interesting in your academic career that sparks their interest and makes them ask about it. If you follow the tips above for the six sections we talked about, your resume will stand out, get more interviews, and stay out of the “junk” pile so you can find a job much faster! If you have a question, leave a comment below.